Ok readers, I have an idea about how we deal with the gluttonous overindulgence of the past few weeks. Ready? Amnesia. We didn’t eat it. And, for that matter, we didn’t drink it either. Clean slate. So what are we eating today? Tomorrow? I was thinking something we made at home. Isn’t that half the battle? Eating food you make yourself have a better shot of being more healthy. Also, I was thinking we pack what we’re eating with vitamins since we’re all trying to boost our immune system this time of year. Foods like beta carotene-rich sweet potatoes, vitamin C-jacked kale as well as the live cultures found in yogurt that mop out the digestive system. Sounds like a good start, doesn’t it? 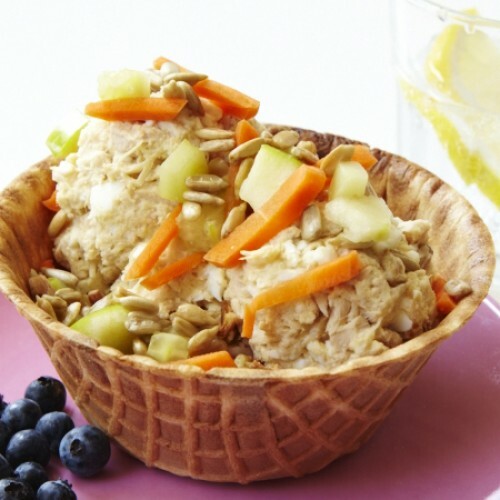 Next week we’re bringing you more inspiration for school lunches, snacks and easy dinners. You know, the usual stuff that will help you survive the first official week back in the grind. In fact, if you’re looking for ideas to make the transition easier, try making a batch of these Ham and Cheese Muffins to throw in lunch boxes or for snacks. You may also want to whip up a batch of this Vegetarian Chili so you have a dinner waiting for you when you get home. We can’t wait for all the delicious recipes 2015 promises. If you have any special requests, please let us know. 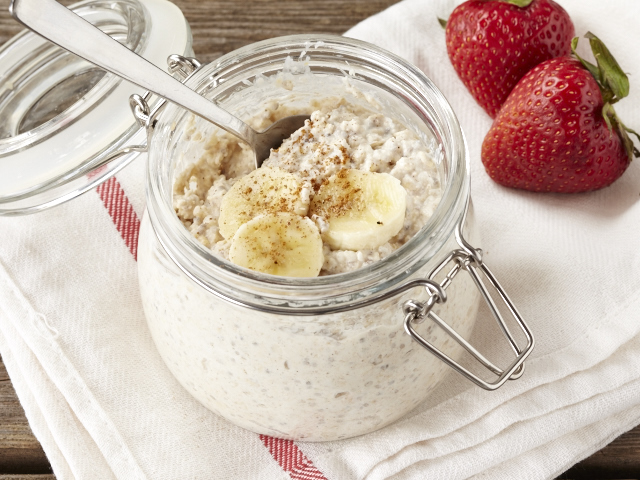 Overnight Oatmeal – Oats, Greek yogurt, chia seeds, fruit and it makes itself. If you ask me, that’s how you have a good morning. 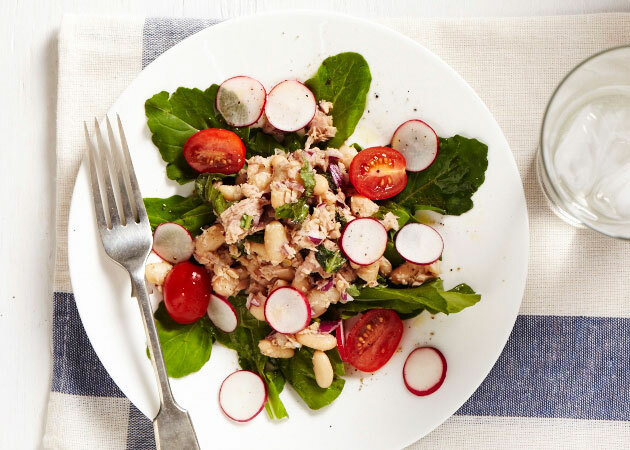 Tuna and White Bean Salad – Hello, protein and fiber. You fill me up without filling me out. I just made that up. 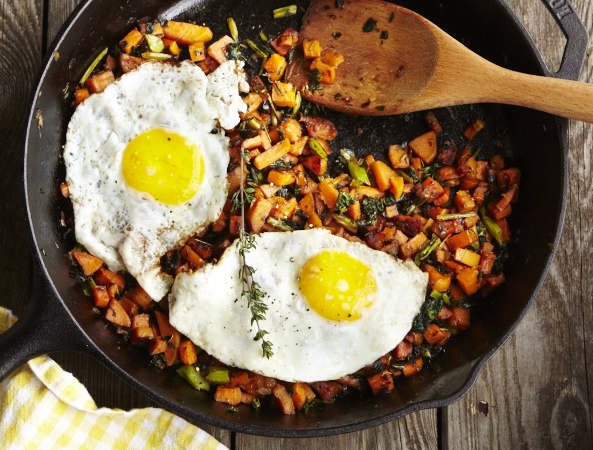 Sweet Potato and Kale Hash with Eggs – Come on, don’t you just want to make this for those sunny, happy eggs on top? Wait, you like eggs, right? 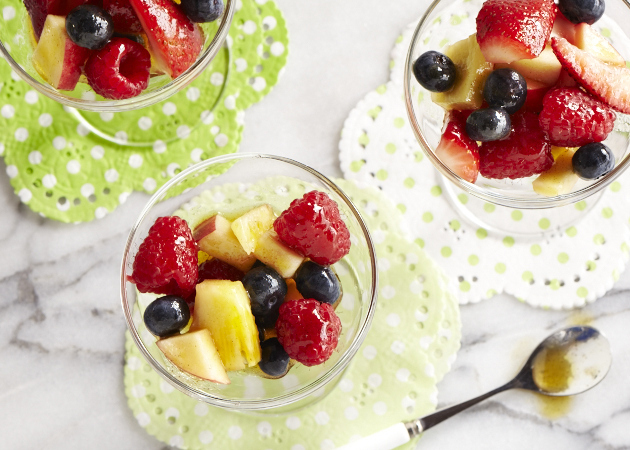 Fruit Salad with Cardamom Cider Dressing – This isn’t your average, cafeteria-style fruit salad cup. 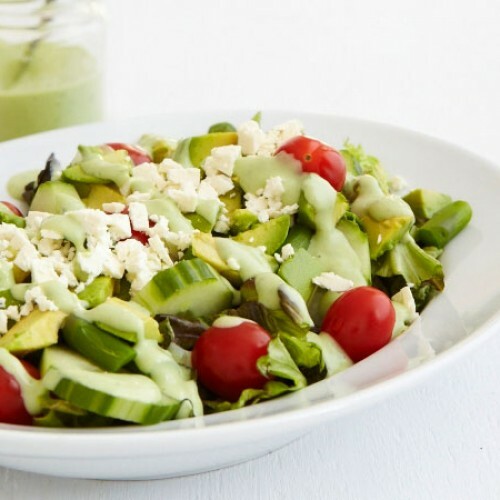 The cardamom cider dressing gives it a spicy flavour you’ll love and we won’t tell anyone if you dunk a cookie into. I mean, you gotta live. 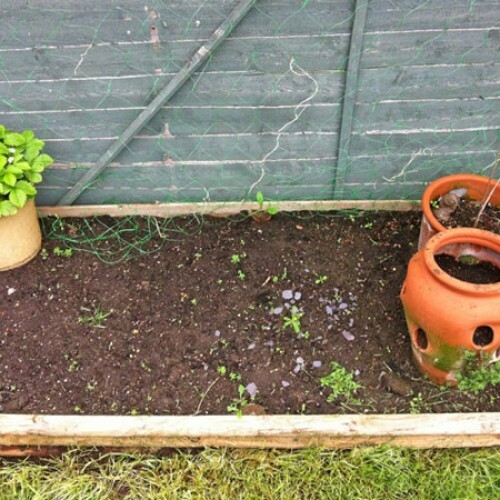 Lisa’s Letters Home: How Does My Garden Not Grow?